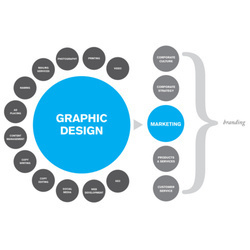 Graph Design is the art or skill of combining text and pictures in advertisements, magazines, or books. We are placing excellent graphic Design Services in Hyderabad. Our popularity in this industry, we are engaged in offering Logo Design to our prestigious clients. The offered designed logo influence, attract the attention of potential customers and get the right amount of visibility in the market. Our provided services are rendered using advanced techniques and tools in compliance with industry standards. We offered these design services as per the needs of our clients. We have established ourselves as a recognized firm, engaged in offering a superior quality Graphic Design. Our offered design service is highly praised in the market for its timely execution and effectiveness. A team of our skilled professionals are capable of giving a unique visual recognition to your corporate logo, banners, brochures and ads that is consistent with your business personality and brand image. Looking for Graphic Design Services ?